Uttar Pradesh is a populous and third largest size wise state in India. All types of tourist destinations, be it religious, historical, cultural or even natural are available here. Apart from Lucknow, its capital, other cities like Varanasi, Allahabad, Udaipur, Chauri Chaura, Gorakhpur, Jhansi, Mathura etc attract a large number of tourists every year. One of these is the town of Muzzaffarnagar. Muzzafarnagar is a city located on the Delhi-Haridwar National Highway. Hence it was very recently included as one of the cities in the National Capital Region, due do its advantageous location. It is a part of western Uttar Pradesh. It is hailed as an important commercial, business and farming region of India. It is also a thriving tourist destination. Some major attractions here are mentioned below. Ganeshdham caught the world’s attention famous for its 35 feet statue of Lord Ganesh. He was the son of Lord Shiva and Lady Parvati. The statue was donated by Lala Sukhbir Singh and Lala Lakshmi Chand Singhal. They were local residents here. Two small rivulets flow through this place, River Tripatha and Vat Vraksha. Near the artificial lake, Sukhdev Teela, a statue of Lord Hanuman sits. He was the avid follower and devotee of Lord Ram. Many devotees visit this place to seek blessings from these two unique statues of deities. This tiny village in Muzzafarnagar houses the iron industry sector of Uttar Pradesh. Agriculture wise, it has shown tremendous growth in producing sugarcanes. Apart from these commercial activities, Vahelna is probably the most secular village in all of the state. In this unique show of tolerance, a Jain Derasar, an Islamic mosque and a Shiva temple share not only the same ground, but the same walls as well. The Jain temple here belongs to the Digamber community. 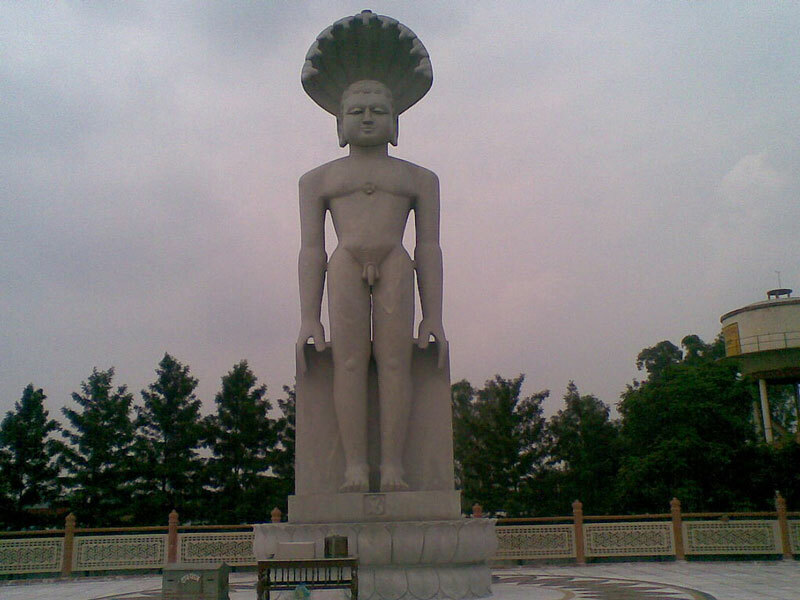 In the year 2011, a giant 31-foot-long statue of Lord Parshvanath was added to the premises. A Naturopathy Hospital and Research Centre are also there on the campus. It is an important place of worship for Hindus and Muslims alike. This temple is an important pilgrimage destination for devotees of Lord Bhairon. It is situated right in the middle of the city. The main shrine houses the eleven Shivlings, Ekadash Shivlings. Pilgrims perform the ritual of Parikrama i.e. going around the shrine in circles. The daily activities and the affairs of the temple are undertaken by the Paliwal Family of Brahmin sect. During the festival of Shivratri, the temple is most frequented by devotees. The most enjoyable and informative place for science, especially life science students; the Zoology Museum here is the perfect centre. It was built in the year 1970 in the campus of Sanatan Dharam College, initiated by the PG Department of Life Sciences. Things to see here include the insect colonies, preserved animals, fish, fossils and also charts containing information and diagrams. The famous library here is used by aspiring students and researchers statewide for its endless collection of books. This 5100-year-old Banyan Tree is nothing short of miraculous. Akshay Vat Vatika towering height of 150 feet and sprawling roots are enough to intimidate anyone. It is considered a living representation of Sage Sukhdeva. It is believed that he sat under this tree and recited the Shrimad Bhagwad Puranas to King Parikshit, Arjun’s grandson, for 7 simultaneous days. 88000 other saints sat around tree too. Soon after that, he was bitten to his death. The tree is hence seen as an emblem of divinity, truth, forgiveness and sacredness. The tree has been given a special name, the Tree of Undying Character, as it doesn’t shed any of its leaves. This Holy tree is visited by devotees, who tie a red thread around it to fulfill their wishes. Apart from these, other local tourist attractions include Ganeshdham, Durga Mandir, Dargah Har Shrinath, Hanumandham, Sankirtan Bhavan, Government Educational Museum and also Swayam Prakat Shiv Parvati Sidh Peetha. Muzzafarnagar is one of the main industrial and agricultural cities of Uttar Pradesh and is also one of the leading tourism generating industries.